Very interesting stuff. Neat to hear that Anguirus and Rodan were gonna be playable. Man, this game is so...mystifying. Modifying these will change the kaiju's name in the game. I made some codes that replace 1 and 0 in the password screen with I(F048 1B) and O(F047 21). They only work with the Japanese version because the Addresses are different and I just happened to be messing with the Japanese version. There are actually X Y O and X Y I cheats but both take you to Earth anyway. I'm pretty much done messing around with this game, there's probably nothing else to be discovered in the game. Well man you've found quite alot! Its pretty cool everything you've dug up and I thank you for all the stuff you've found. Here's an HD remastered box art I created from HD sources as well as replicating original fonts and objects! Oddly enough, this doesn't work with Anguirus for some reason. I can't really change Godzilla's crouch spines without changing his atomic breath black as well. These codes could cause side effects like changing the palette of other stuff in the game. I've also included anything else that wasn't used on the image. 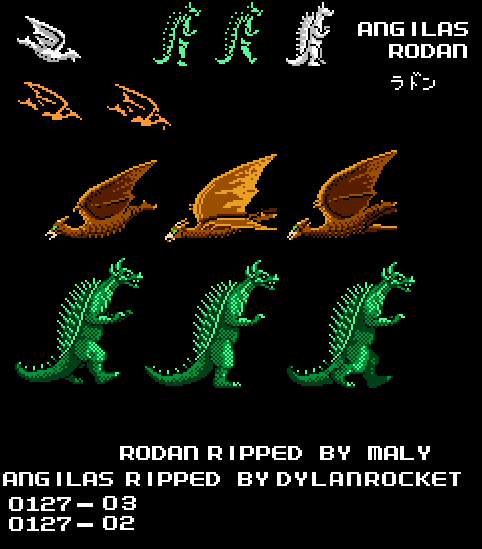 Those are the actual palettes used for the board sprites for Angilas and Rodan, my guess is that they were gonna be changed later if they had actually been in the game. And that's pretty much it. I'm gonna go find some new game to mess around with now. It's amazing how much stuff was hidden in the game, now watch it in 2 years you start messing around with the game again for fun and you discover Biollante in the game Also I have a idea for the game you mess around with, Godzilla Generations who knows what stuff could be in that game that or Godzilla 2. You could try looking in to Minilla and Jet Jaguar's sprites in Battle Legends. Young Guy wrote: You could try looking in to Minilla and Jet Jaguar's sprites in Battle Legends. Yeah I could probably do that. Should be as simple as finding the Address and changing the value. g2vd wrote: It's amazing how much stuff was hidden in the game, now watch it in 2 years you start messing around with the game again for fun and you discover Biollante in the game Also I have a idea for the game you mess around with, Godzilla Generations who knows what stuff could be in that game that or Godzilla 2.
lol I'd love to see that happen since Biollante is one of my favorite kaiju. I've looked into Godzilla Generations a few years ago and didn't find anything, but it is possible I missed something. Godzilla 2 has leftover Japanese text in the rom, but that's pretty much it. Really? I thought it wasn't in the Sound Test. I know there's some unused music, but I don't remember this particular track in the sound test. Huh, you would think Godzilla 2 would have some stuff. who knows about GG after all you didn't find Rodan and Angurius the first time. Well, it is uploaded on Youtube by multiple different users. I'm not the first guy to find that song. 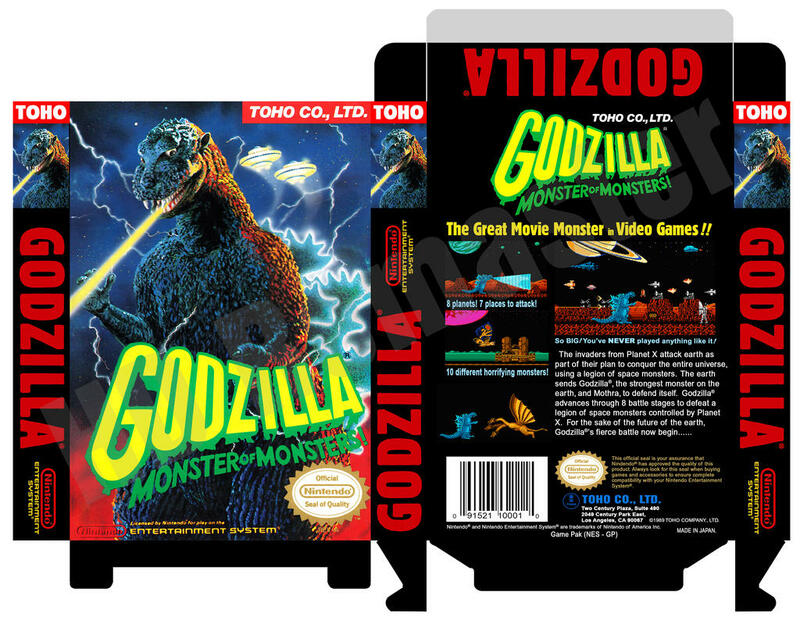 Yeah I was hoping for Godzilla 2 to have some leftover Rodan NES content, but nothing. Godzilla Generations has duplicate models but there doesn't appear to be any difference between them. There's also some image in the files that calls the game "Godizilla Generations" if I remember correctly. I'll probably post some images in the Godzilla Generations topic. However, the sequel has some leftover test models. EDIT: Was the Godzilla Generations topic deleted or something? I can't find it. 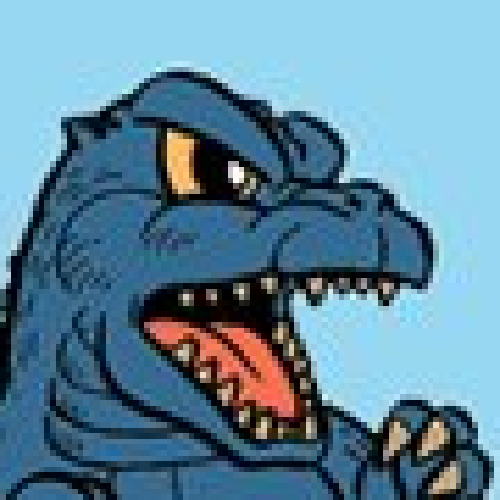 The Godzilla King wrote: Was the Godzilla Generations topic deleted or something? I can't find it. It must of gotten deleted in the hackings, here I made a new one. I recently purchased this and an NES top play it on. It's pretty good what I have played of it so far. GojirO wrote: I recently purchased this and an NES top play it on. It's pretty good what I have played of it so far. Just now it IS kinda tedious at points, but ultimately I'd say a pretty fun game overall. If you know your Toho stuff, then you'll see a ton of references to many movies they have done. Last edited by godzilla98rules on Tue Nov 14, 2017 11:59 pm, edited 1 time in total.